A few years ago I wrote about French Towns with Healing Waters. These towns build their reputation around natural springs dating all the ways back from the Roman Empire when the settlers recognized the therapeutic value of the springs, and were eager to exploit them. 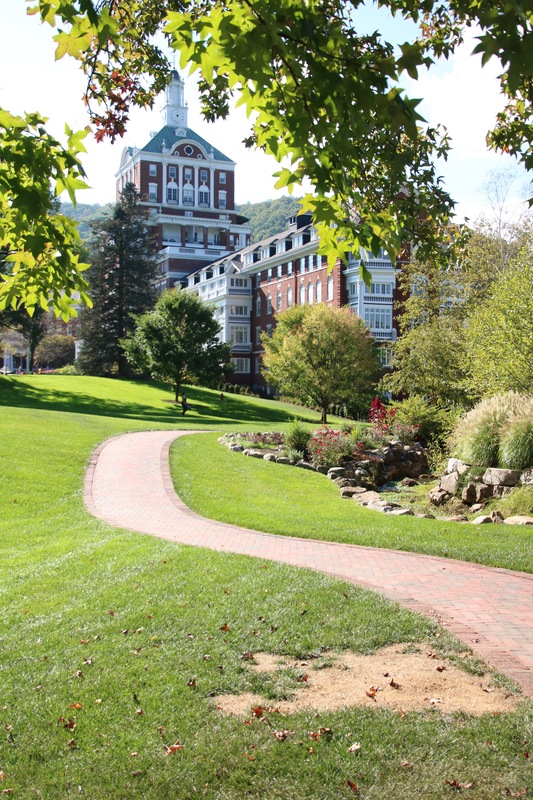 After living in the states for 23 years, I had given up on finding such areas around the country until I arrived in the little town of Hot Springs in the Allegheny Mountain of Virginia and stayed at the Homestead Resort. After checking-in, I quickly dropped my luggage in the room to explore the grounds of the hotel. 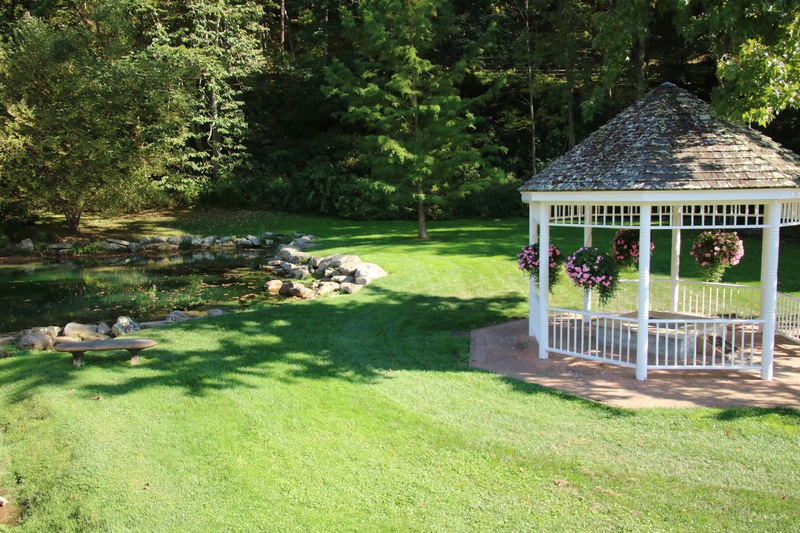 There are at least ten natural mineral springs on the grounds of the Homestead. Since about 1750, they have been known as the “Hot Springs”, which also became the name of the little village that grew up around the resort. The springs are not all hot. Their waters range in temperature from cool to very hot. 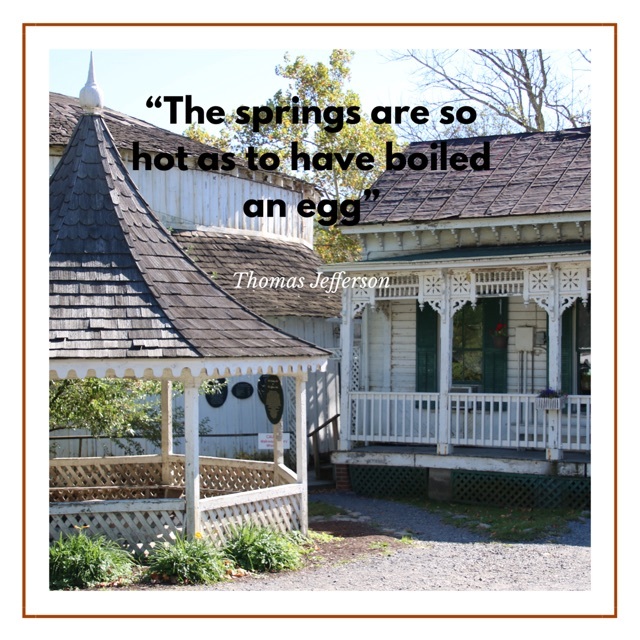 In 1781, Thomas Jefferson wrote that some of the springs are “so hot as to have boiled an egg”, but, in truth, none of them really boil. Their bubbles come from natural carbonation in the water. Five miles down the road the naturally warm mineral springs of the Jefferson pools were still open to the public in late September. The 120 feet round pool inside the 1761 octagonal building is filled with constantly flowing, crystal clear mineral spring water. In 1836, a separate Ladies’ Pool House opened, fed by a separate spring whose waters have the same properties as those which supply the original building. 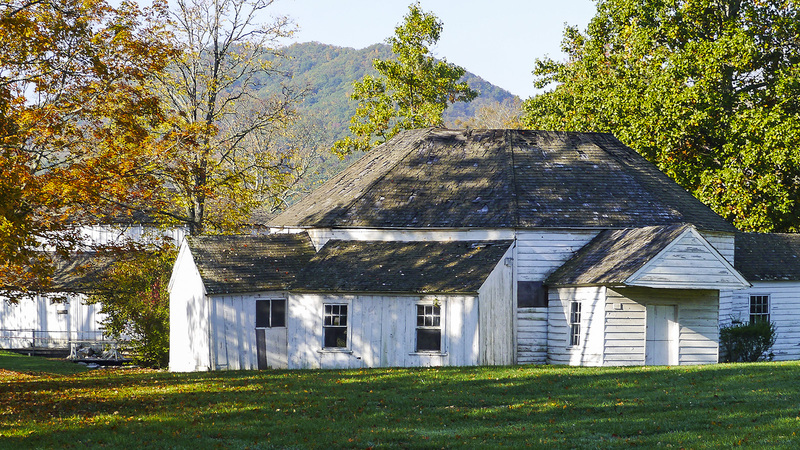 Both structures are still standing today and considered the oldest spa structure in America. We wanted to experience the soak, however arrived outside of the Family soaking hours. Bummer! Sadly a few weeks after our trip, I found out the Pools have been closed until further notice by orders of Bath County. The buildings are historic but also decrepit and in need of TLC. I hope the structures get restored before we lose another piece of our history.